A little blue box has appeared on my front lawn. 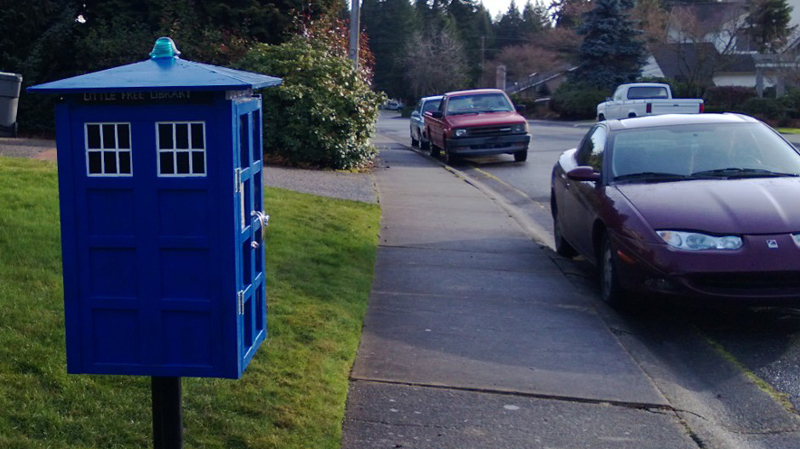 It is a Little Free Library in the shape of a TARDIS. Think of it as a mini-me TARDIS filled with books that can take you through time and space to whole new worlds. That’s almost as good as having a visiting Time Lord like the Doctor. It has been in the works for months. I’ve wanted one ever since I learned about the Little Free Library network. The Husband, Jeff, decided he would build me one and it work look like a TARDIS. He knows my love of the TARDIS and what it represents. He also knows how important books are. It doesn’t hurt that he’s a voracious reader who is good at building things. Without formal plans, it took Jeff about six weeks to complete the TARDIS from start to finish. There were some hiccups along the way—cutting acrylic can be difficult—and some moments of brilliance—layered spray paint to get the TARDIS blue color—but in the end, it turned out better than I could have hoped for. I didn’t do much more than supervise and give Jeff the idea of the sign in the door. I approved everything as it went along but the praise really belongs with my husband. He’s pretty darned awesome. I mean… he built me a TARDIS! We didn’t do this just because we love Doctor Who and the TARDIS. We did this because there are a lot of kids and parents in the neighborhood who walk by. The kids are both middle grade and teenagers. We’re on the path between a bus stop and the rest of the neighborhood on one side and a middle grade school on the other. Plus, the neighborhood has a great half mile walking circle. There isn’t a day when I don’t see people walking by. We want to promote reading and to give those who might be struggling the chance to read books for free. Also, I know that if I had not had a library growing up, I might not—probably would not—be the author I am today. There is a magic to reading. This is one way I thought we could give back to our community. Now, instead of just being “that author lady” or “that weird house with all the gargoyles” we get to be “that house with the TARDIS library.” I like it. 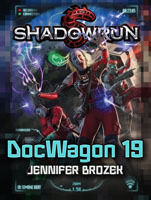 I guess we’re already known for books. We’ve participated in All Hallows Read for the last couple of years to great success. One could do worse than be known for books.